On December 18, 2015, the Special Inter-Orthodox Commission for Preparing the Pan-Orthodox Council completed its session in Athens. 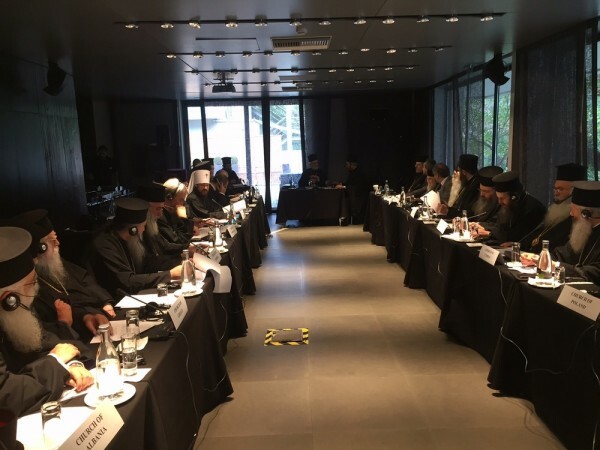 The session, which lasted since December 16 and was chaired by Metropolitan John of Pergamon (Patriarchate of Constantinople), was attended by representatives of fourteen Local Orthodox Churches. The Moscow Patriarchate was represented by a delegation led by the chairman of the Moscow Patriarchate department for external church relations (DECR), Metropolitan Hilarion of Volokolamsk. The delegation included Archpriest Nikolay Balashov, DECR vice-chairman, and the Rev. Anatoly Churyakov, an interpreter. The work launched by the commission to draft the procedure of the Holy and Great Council of the Orthodox Church will be continued in the pre-council process.